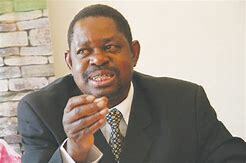 Political players should be given adequate time to inspect the voters’ roll to avoid disruption of the electoral calendar in case of litigation, Zanu-PF Secretary for Legal Affairs Cde Munyaradzi Paul Mangwana has said. He proposed that political parties should be provided with a lead time of at least three months to inspect the voters’ roll before its closure to allow interested players to challenge the process should they feel that there were some breaches. Cde Mangwana was speaking last week while addressing delegates attending a Zimbabwe Electoral Commission (ZEC)-organised national multi-stakeholder post-election review conference for the July 30, 2018 harmonised elections. He said some political parties were taking advantage of ZEC’s relaxation of requirements for one to register to vote. ZEC allowed those that could not provide proof of residence to bring affidavits to be allowed to register. He said some political parties abused the reprieve, resulting in more than 70 people being registered as residing at one house after merely made to sign completed affidavits that were presented to them. “When ZEC insisted on proof of residence some people, especially those who were renting complained, that they did not have title deeds and lease agreements and the rules were relaxed,” said Cde Mangwana. Cde Mangwana said while ZEC ran the election professionally, the process had some gaps that required improvements. Cde Mangwana said as Zanu-PF they noted some grey areas in the electoral system which required an improvement. “In my capacity as Zanu-PF’s Secretary for Legal Affairs, I had some of our candidates, who had not succeeded in the last election, coming to me and saying we want to challenge the results of the election because we feel that ZEC did not do its work very well,” he said. Speaking at the same occasion, Chiefs Council president, Chief Fortune Charumbira, rapped some non-governmental organisations and political players for attacking the institution of traditional leaders without first engaging them. He said most of the organisations accused traditional leaders of failing to uphold the Constitution when they equally were in breach of the supreme law by not being respectful.